Tampa Bay Golf & Country Club Maintenance Free VILLA with Wooded View is Ready for YOU! Better than new with 2 car screened garage and double door entry. Ceramic Tile Foyer welcomes you to this Light, Bright GREAT ROOM, OPEN to dining area with double doors to Flex space which can be used as a DEN/3rd bedroom/OFFICE. Kitchen accented with Granite counters, stone backsplash, wood cabinets, Stainless appliances and sink with new faucet. Eat in dinette area with glass slider to Open lanai to Relax and take in your private conservation view! Spacious Master Suite with double window & serene view. Inviting Master bath boasts dual sinks, vanity area, HUGE closet, soaking tub, separate shower & water closet. Split plan with Bay window Guest bedroom, updated guest bath & dedicated inside laundry room. Attic has flooring for storage, light and aluminum pull down stairs for access. Many extras: New disposal, rewired electric, solar tube, Vaulted ceilings, 2nd refrigerator in garage, closet pantry and lots of storage! Furnishings and Golf Cart Negotiable. Live the RESORT LIFESTYLE in this well maintained, barely used villa and enjoy the Clubhouse, 2 pools, 2 golf courses, tennis courts, pickleball, dog parks, fitness center, card rooms, full service restaurant, pub/grill and banquet room with onsite entertainment, dinner shows, planned activities and travel excursions. 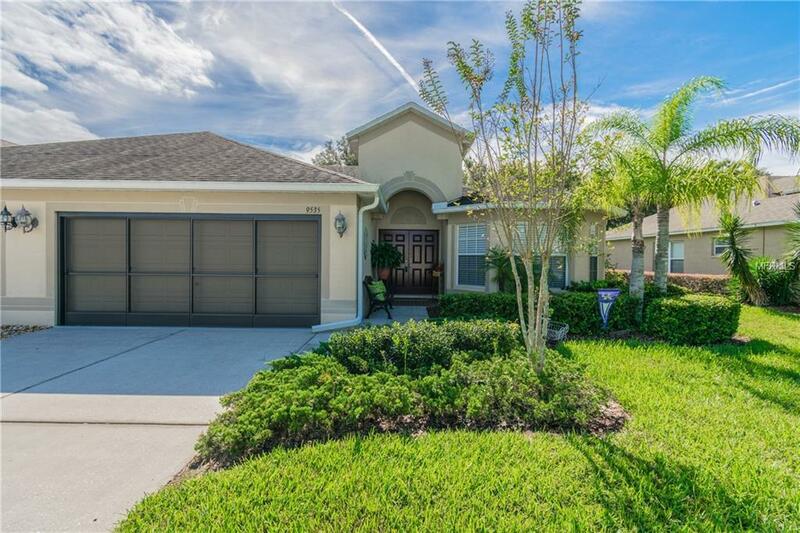 This 55+ Community is located just north of Tampa with easy access to Ocala, Orlando or the Beaches. COME TODAY and see why this IS the place to BE! Additional Lease Restrictions Go To Www.Tampabgcc.Com Or Call 352-588-0059 For Additional information. Pet Restrictions No Aggressive Breeds. Go To Www.Tampabgcc.Com Or Call 352-588-0059 For Additional information.